Belgium's PJ Production specializes in resin aftermarket accessories for aircraft, as well as, a few resin aircraft and vehicle kits, and a variety of figures for a variety of aircraft. 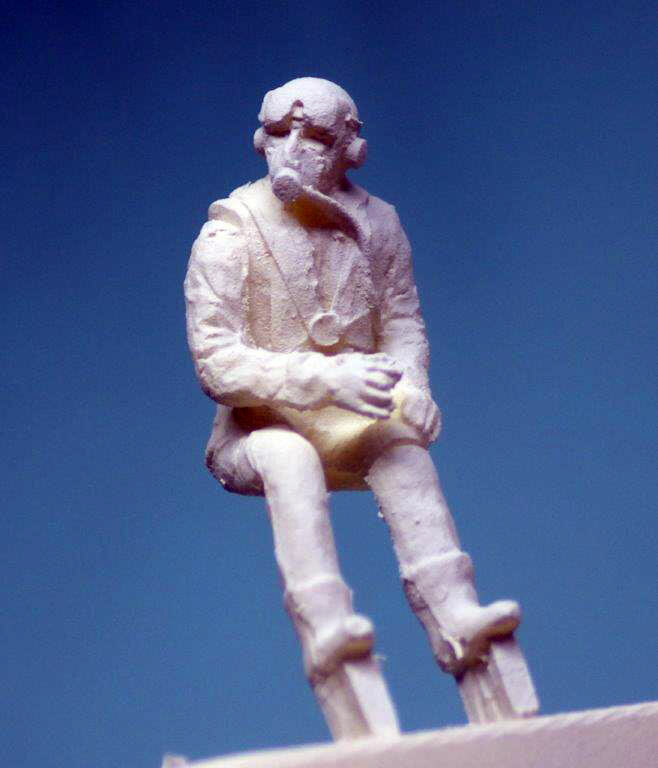 Their series of pilot and crew figures range from WWI through modern pilots, and include seated and standing pilots for both civilian and military aircraft. 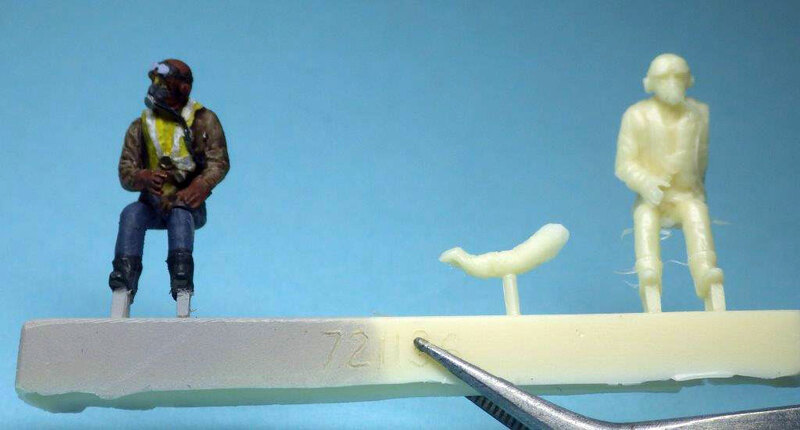 They also have a number of crew figures to complete a diorama. 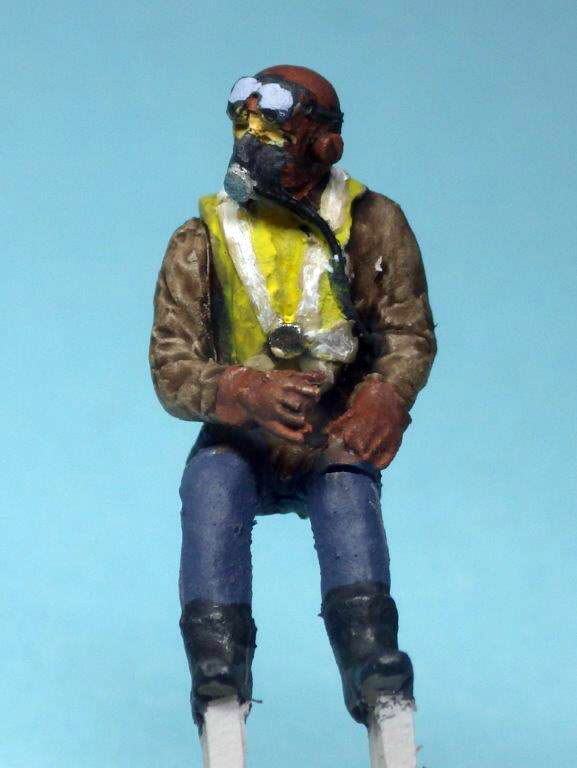 The review set provided included 2 RAF seated pilot figures from WWII. The pilots are seated with one looking to his right, and the other looking straight ahead. 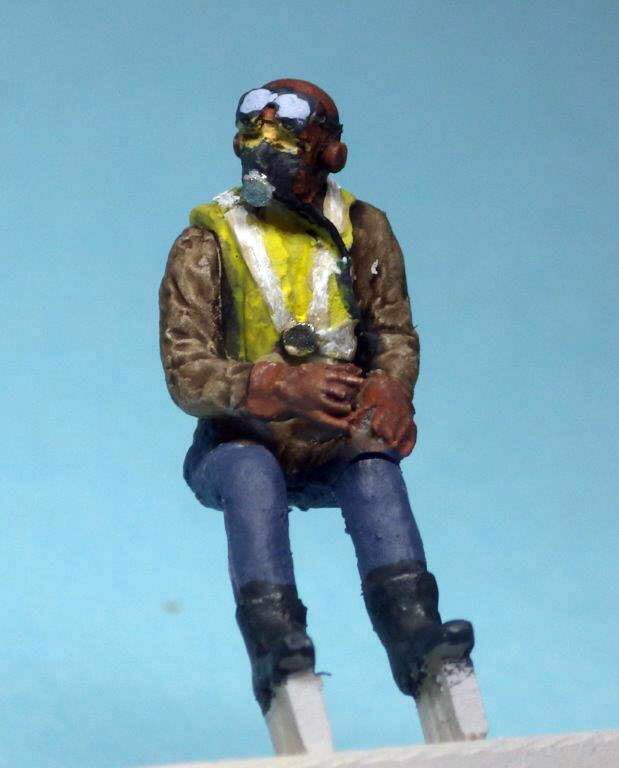 Both figures have their hands and feet in position to be in control of the aircraft and are wearing oxygen masks and the common yellow life vest over a leather flight jacket. Both figures come attached to one pour stub, with their right arm molded separately and there is some slight flash on both figures. The flash is easily removed with the back of a hobby knife and the right arm was attached without issue. I primed my figure prior to painting it and had no issues with paint or primer holding to the model. 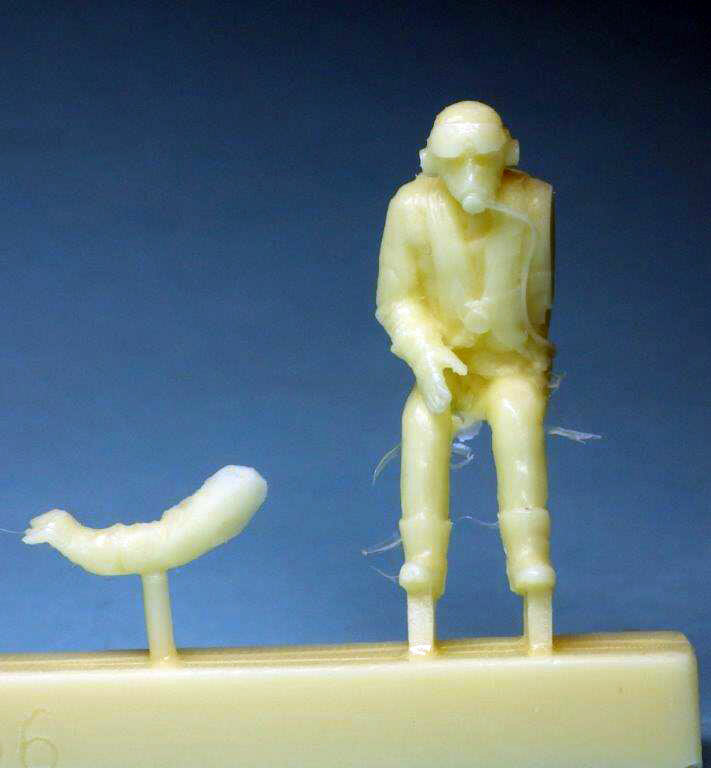 Although, some of the details on the pilots are a little rough, at 1/72 these figures make a nice choice for populating the cockpit of your plane. They are generic enough that they would fit well with most RAF aircraft. Also, for the price, I recommend these figures as a much better pilot option than what is provided with most aircraft kits. Thanks to PJ Productions and IPMS/USA for the review kit. One of the two pilots provided, this one looking straight ahead. Submitted by Norman (not verified) on Sat, 2018-12-15 13:03. Can u have them pre-painted?